Built upon the site of St David’s 6th century monastery St Davids Cathedral has been a site of pilgrimage and worship for many hundreds of years. It is situated in St Davids, Pembrokeshire, West Wales. Visit St David’s Shrine that has been recently restored. They have a group of trained volunteers, who are happy to guide visitors and pilgrims around the Cathedral. The nave is the oldest surviving part of the cathedral. Construction of screen in the 12th century by Bishop Peter de Leia and Giraldus de Barri (Giraldus Cambrensis Gerald the Welshman).Bishop Peter and Gerald were excused from the Third Crusade in order to complete the cathedral. 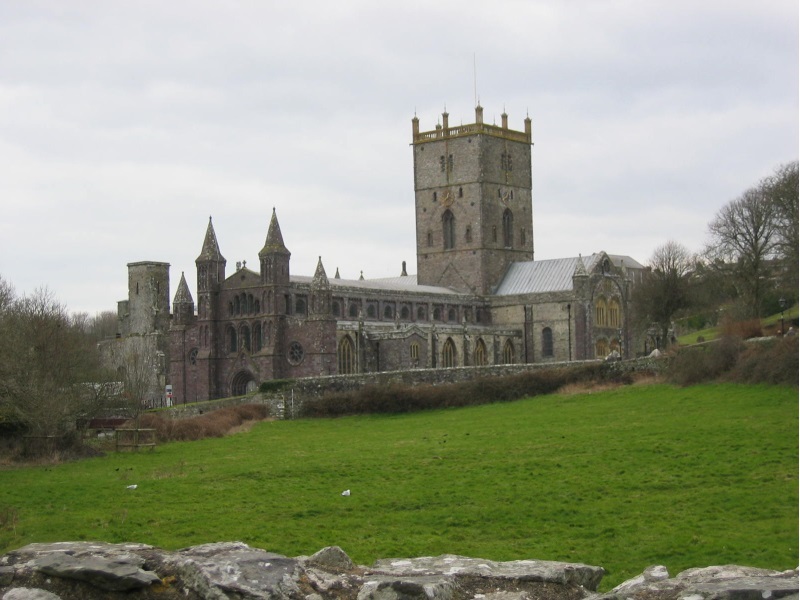 As well as the St Davids Cathedral Festival, many choirs and other ensembles from Pembrokeshire and further afield hold concerts in the Cathedral throughout the year. There are many concerts, family events and other activities taking place this summer in St Davids Cathedral and they hope there is something for everyone.